International travel is something that I really love. As a child my parents weren’t really into it and it wasn’t until I went on the French exchange as a teenager I got my first experience of travelling abroad. Jump forwards a few years to the work I am doing now and my opportunities for work internationally has meant that I have had some fantastic opportunities to work and share on teaching and learning in international settings. In the last few years I’ve worked with schools and keynoted at conferences in Oman, Japan, Cyprus, France, Australia and many more destinations. This past week I’ve been fortunate enough to work with a whole bunch of schools across Hong Kong with today culminating in my final piece of work; a whole day INSET at the French International School. Over the course of my week here, through my role as an Associate of Independent Thinking I’ve had opportunities to involve myself in four different pieces of work that are in many ways pretty groundbreaking. 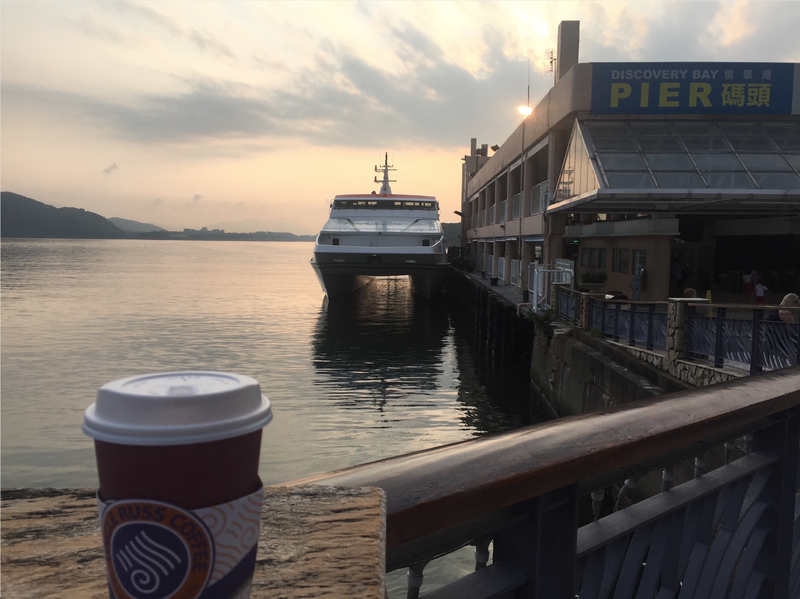 The morning commute was pretty special! At the Hong Kong Academy with Primary school staff I ran a 2hr session looking at teaching and learning with technology. This involved staff getting hands on with a variety of apps following an examination of ideas around pedagogy to inform technology use. Following on from this I ran a similar session with Secondary teachers. This session included a dive into looking at what it is to be a modern educator, how to develop a PLN for your own professional development and look at a variety of apps following an examination of ideas around pedagogy to inform technology use. After this I then ran a session for the Parent community of the school looking at digital parenting. The session was aptly titled, “Teens in the digital age”. 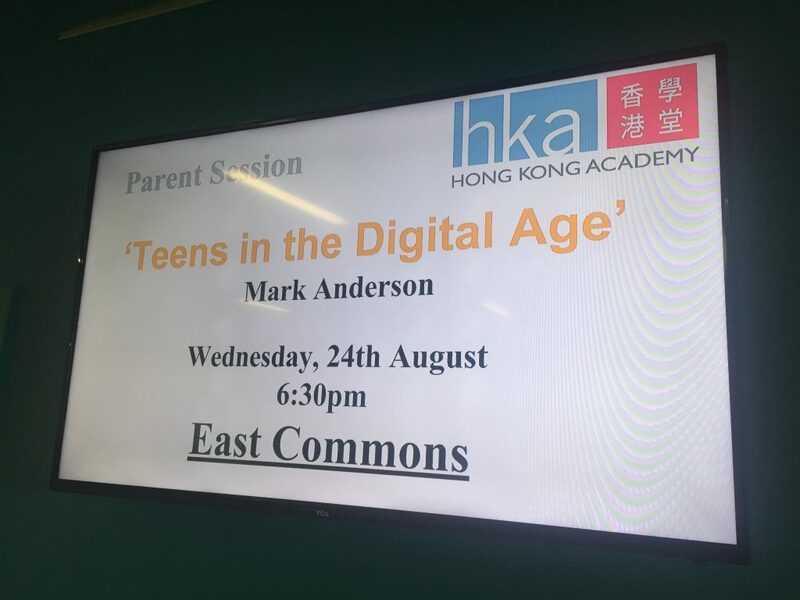 It really was a great session and I’d like to take the opportunity to say thank you to Andy of HKA for helping get the different sessions set up and running in the school. The English Schools Foundation in HK have a long tradition of providing quality education in the Hong Kong region. There are a large number of ESF schools in Hong Kong and they work closely together to foster collaboration across their various campuses. 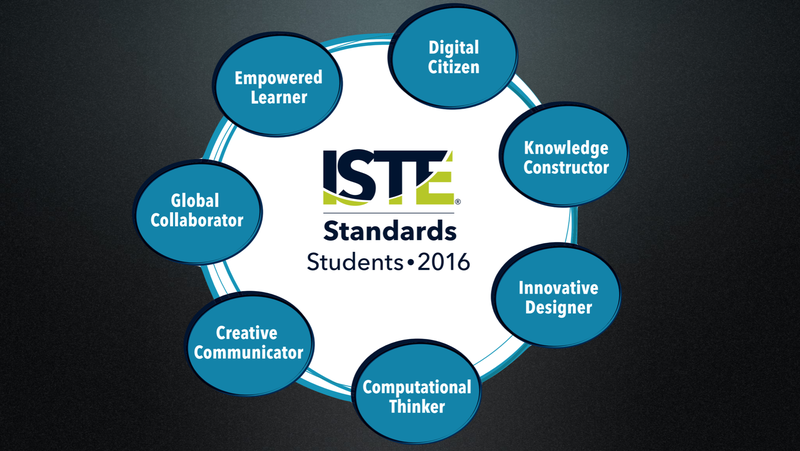 Very recently, ISTE have launched their 2016 Standard for Students. In an innovative way, the ESF have decided to join their existing curricula and tie them to these new standards from ISTE to get consistent coverage of standards relating to ICT & Computing. My work there this past week saw me working alongside the various Directors of Technology from the schools and a number of tech coaches too; our purpose to unpick the 7 different strands and make sense of them in relation to each of the different schools. We came up with some great outcomes which will see schools working even more closely together, looking carefully at ways to engage students in digital leadership models and begin to create cross school Kidsmeet sessions to share learning across the schools in even more innovative ways. Fab! Alongside this work we also had time to look at some new tools and updates to others too such as Adobe Spark Suite, ClassDojo, Bloxels Builder and many others. My thanks to the ESF for a great day of learning in their head office in Central Hong Kong. I really enjoyed my visit to the International College Hong Kong. This was an opportunity to visit two quite geographically different campuses. 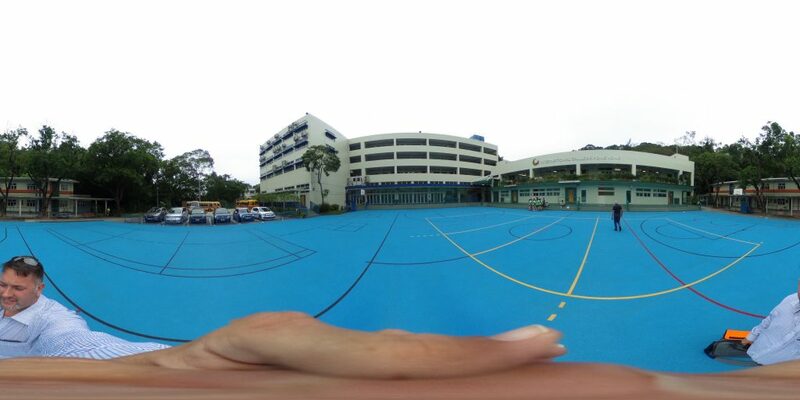 The Primary campus being in Hong Lok Yuen and the Secondary campus being some 23 minutes (14km) away in Sha Yau Kok, just shy of the Chinese border. The morning was spent in the Primary campus meeting and sharing ideas around technology strategy with their IT coordinator and digital & information literacy leader, Jamie Stark. This was a great opportunity to look at his fantastic work around their in-house LMS ‘Orchard’ and their GAFE setup. Orchard is the primary version of the in-house LMS created by the Director of IT across the ICHK, Ross Parker. It was then my privilege to then spend the afternoon with Ross in his classroom working with his Y9 students who were breaking down old PC units, identifying the various elements of internal hardware and then rebuilding these units. In 45 minutes. It was great. Whilst I was there I had the opportunity to talk with Ross about his open source free LMS, Gibbon. 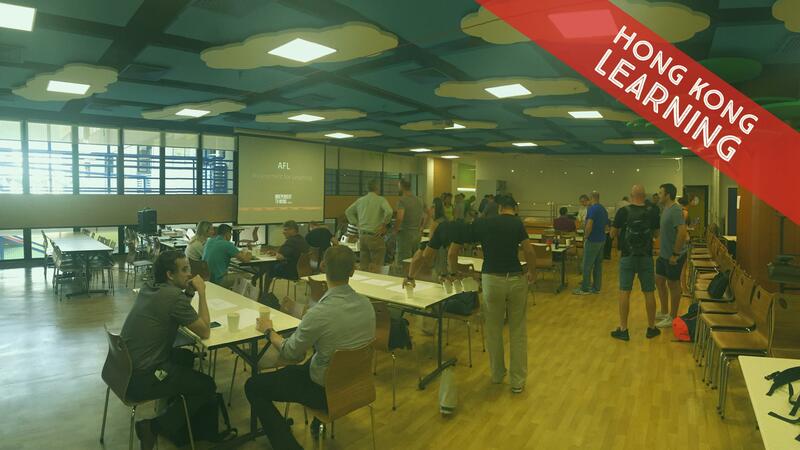 For the full back story on Gibbon and ‘free learning’, please check out this post by Ross. It really is a great story and the ‘free learning’ units that students pick from to gain their various credits around the use of technology really stood out as something that despite being out on a bit of a geographical limb from Hong Kong made it something particularly stellar about the setup at ICHK. Follow Ross at @rossdotparker and Jamie at @Jamie_Stark. It was really good too to spend time with the Secondary Headteacher, Toby Newton discussing strategy around teaching, learning, leadership and some really cutting-edge ways to bring the school forward in a heavily competitive independent school market. I can’t wait to talk more with him over the coming months. Toby can be found on Twitter too @Toby_Newton. With a multi-lingual audience with teachers from early years right through to Year 13, my day at the French International School was always going to be an interesting one. The brief here was to spend the day looking at different ways of undertaking formative assessment to link to assessment for learning. This day had involved a significant amount of preparation in terms of meetings on Skype prior to arriving in Hong Kong with members of the leadership team. We had worked closely to ensure that the day met the professional development needs of staff. Working closely with the leadership team ensured that the outcomes of the day were achieved. A day focusing on teaching and learning ideas I couldn’t help but bring in a few technology related staples of many classrooms; Kahoot, Socrative, Plickers, mirroring and Explain Everything which were all very well received. By the end of the day the staff were buzzing with ideas, inspired with new ideas to engage, track, monitor, develop and bring on the metacognitive knowledge of the children in their very large school (2000+ students). I was really pleased with the glowing feedback from the teachers at the school and I hope to return there in the future. As is often found, there was a common theme with the educators that I worked with this past week. A theme that I find common across the world over. Here we had passionate teachers. Teachers passionate about making a difference; passionate about making their dent in the universe, to leave a lasting legacy with the children that they work with. It is my absolute hope that I left a dent of my own here too. One which will have a lasting legacy imprinted on the minds of the educators I’ve been privileged to work with this past week. I know that the city and its educators have left a big impact on me. One of my pieces of feedback from today read: “Please come again!” – I really would love to and hope to see you all again soon! Thank you to everyone in the schools here for allowing me to come and share with you this week. One final thank you too to Ian Gilbert of Independent Thinking for arranging these brilliant opportunities for me to come to this amazing city to learn and share. Thank you.